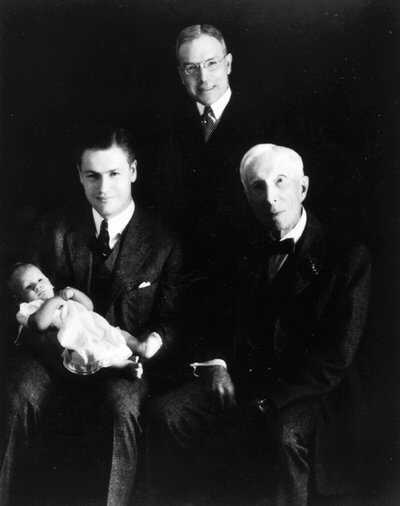 Rockefeller Sr. with family. Rockefeller Archives. 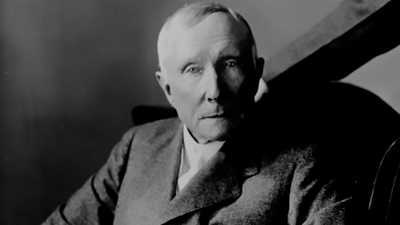 The so-called Cleveland Massacre was the beginning of John D. Rockefeller's drive toward an oil monopoly, and it is considered one of his shrewdest operations. The fact that he carried out this campaign in the midst of the most unfortunate episode of his business career (the demise of the infamous South Improvement Company) truly shows just how focused and ruthless Rockefeller could be. Launched in late 1871 by Tom Scott, the president of the powerful Pennsylvania Railroad, the South Improvement Company (S.I.C.) was a secret alliance between the railroads and a select group of large refiners aimed at stopping "destructive" price-cutting and restoring freight charges to a profitable level. According to the pact, the railroads would raise their rates, but would agree to pay rebates to Rockefeller and other large refiners, thus securing their steady business. In addition, the latter were to receive the proceeds of the "drawbacks" levied on nonmembers, who as a result would end up paying much higher prices for their shipments of oil. When news of the secret deal was leaked to newspapers in Pennsylvania's Oil Region, the area most hurt by it, the independent oilmen were stunned and outraged. Fourteen-year-old Ida Tarbell, the daughter of one of them, witnessed the reaction: "At the news all Oildom rushed into the streets," she wrote 30 years later in her The History of the Standard Oil Company. "Nobody waited to find out his neighbor's opinion. On every lip there was but one word, and that was 'conspiracy.' For weeks the whole body of oil men abandoned regular business and surged from town to town intent on destroying the 'Monster,' the 'Forty Thieves,' the 'great Anaconda,' as they called the mysterious South Improvement Company. Their temper was shown by the mottoes on the banners they carried: 'Down with the conspirators'; 'No compromise'; 'Don't give up the ship!'" Rockefeller, one of the leading members of the new alliance, thought it preposterous to deem it a conspiracy: "There is so much false pretence in all this talk about rebates!," he would argue in an interview conducted almost 50 years later. "Rebates and drawbacks were a common practice for years preceding and following this history. So much of the clamor against rebates and drawbacks came from people who knew nothing about business. Who can buy beef the cheaper -- the housewife for her family, the steward for a club or hotel, or the quartermaster or commissary for an army? Who is entitled to better rebates from a railroad, those who give it for transportation 5,000 barrels a day, or those who give 500 barrels -- or 50 barrels?" But the secrecy and dubious legality of the pact soon earned the independents popular sympathy. Calling it "the oil war," the New York press seized on the clash between S.I.C. refiners and Pennsylvania oil producers, who had decided to boycott the new alliance. Finally, in April of 1872, the South Improvement Company's charter was repealed by the Pennsylvania legislature before it had even conducted a single transaction. The independents were ecstatic. But Rockefeller, indifferent to the fact that he had been singled out as the villain in the Oil Regions drama, refused to dwell on the fallout from this, his first big failure. "We, the Standard Oil people, did not originate the South Improvement Company," he said years later. "It was not our idea. We did not organize it, did not think from the beginning that there was much promise in it. We acceded to it because [its leaders], we hoped, would be helpful to us ultimately. We were willing to go with them as far as the plan could be used; so that when it failed we would be in a position to say, 'Now, try our plan.'" As it turned out, Rockefeller had been carrying out "his plan" even before the demise of S.I.C. Eager to consolidate the refining industry, he set out to eliminate what he called "ruinous" competition from his most immediate rivals. In less than six weeks, between February and March of 1872, he used the threat of the big new alliance and a sophisticated range of tactics to buy up 22 of his 26 Cleveland competitors. While the public and many in the industry were caught up in the South Improvement Company crisis, Rockefeller had already moved beyond that momentary defeat. He now controlled what would become the foundation for the biggest industrial empire of its time. "It was really the first great step on John D.'s march to industrial supremacy," says biographer Ron Chernow, "because once he had a monopoly over the Cleveland refineries, he then marched on and did the same thing in Pittsburgh, Philadelphia, Baltimore, New York, and the other refining centers. So that was really the major turning point in his career, and it was really one of the most shameful episodes in his career." 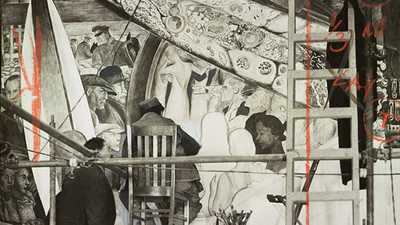 Diego Rivera and the Rockefellers could not have been more different. And yet, for a brief moment in the midst of the turbulent 1930s, they shared the spotlight in a bizarre and very public drama. 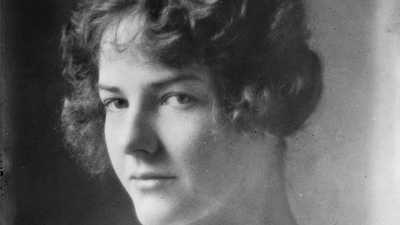 After a courtship that lasted five years, Abby Aldrich married John D. Rockefelle at a lavish wedding ceremony on Warwick Neck, Rhode Island on October 9, 1901.